Unless you’ve recently moved to the Tri-State, the words “March 2nd” probably trigger thoughts of tornadoes and severe weather. If you’re a long-time resident of the Tri-State, you’ll likely remember where you were on April 3, 1974. 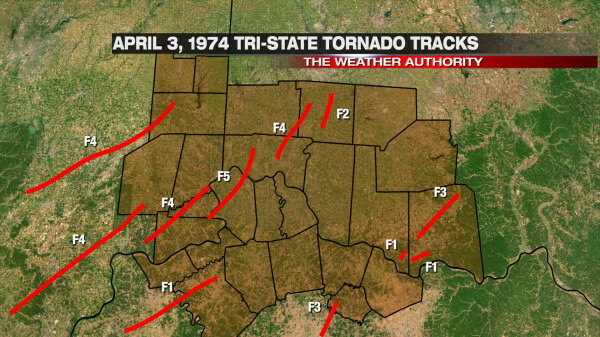 Often coined the “Super Outbreak,” April 3, 1974 was the date of the one of the biggest tornado outbreaks on record in this country and in the Cincinnati area. 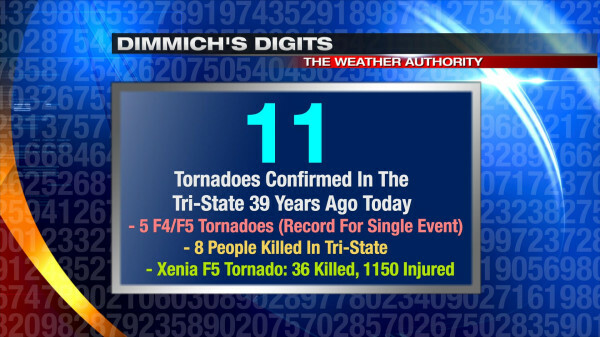 Note that one of the strongest tornadoes that day was also the deadliest, killing 36 and injuring over 1,150 people in Greene and Clark County, Ohio. What are your memories of the April 3, 1974 Super Outbreak? Were you in Cincinnati? Did you see any of the tornadoes that day? Please leave your memories in the comment section of this blog or on social media (“Meteorologist Scott Dimmich” on Facebook, @ScottDimmich on Twitter, and as “Scott Dimmich” on Google+). Went with co-workers to attend a viewing in Cincinnati. On the way, hail as big as baseballs was crashing onto the car we were riding in–frightening because I thought hail was going to break windows. While at funeral home, lights went out and looking out the window of the door, we could see traffic lights were not working. When I got home to our Fairfield apartment (no basement), things were still severe. Thank God my husband returned safely and we were not hurt. However, sad for many. I lived in Delhi and I was 13 yrs. old. I remember seeing the tornado from our front window. It was the scariest thing I had ever seen. I remember everyone running outside to see it, except me. 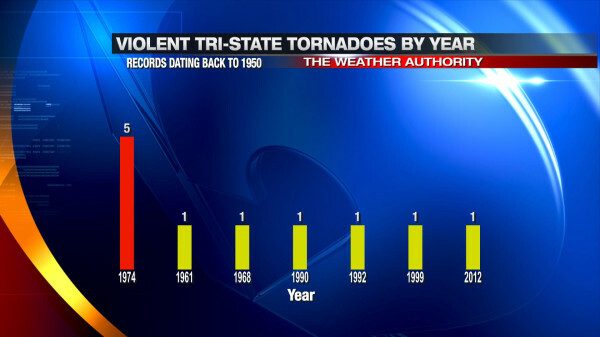 Back then no one ever talked about tornados. 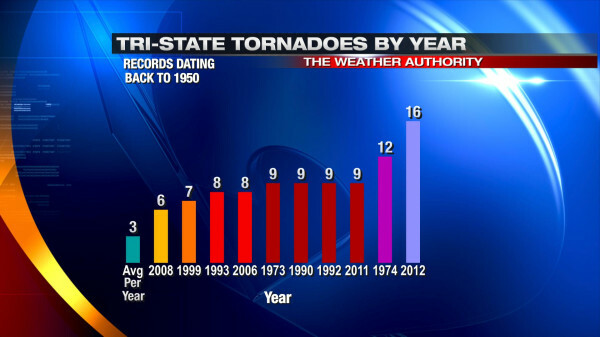 I remember my Dad saying….not to worry, tornados don’t strike here. The next day he found out one of his best friends was killed in Sayler Park. It was a sad and scary time. My mom and brother found us at the school and I remember that whole night we were ushered out of the gym/classrooms where we sat on cots to seek shelter in the basement of the school for the numerous tornado warnings through that night. I lived on the KY side in Boone county on the hill across from Saylor Park OH. I was driving home from high school and saw the tornado to my right and about 2 miles away. Baseball size hail started falling but made it home and dad and I went to the basement. The tornado hit about a minute after we went downstairs and lasted maybe a minute. Our house had damage as all our neighbors did too. The F5 portion passed thru right up the street and just incredible damage! Several homes we reduced to a poured foundation showing and some plumbing pipes and that was all that was left. I’ll never forget that day!